All on 4 術式，無疑是全口無牙治療一大利器。這堂課，將告訴您如何整合CEREC與inLab，應用於All on 4 3D導航植牙治療，實踐數位植牙全口重建! Post-processing is still one of the decisive steps for Chairside CAD/CAM restorations. To create natural and harmony appearance of CAD/CAM restorations, skills of contouring, internal and external staining are essential parts that bring you successful esthetic outcomes. Participants of digital dentistry striving ultimate esthetics shall not miss this topic. 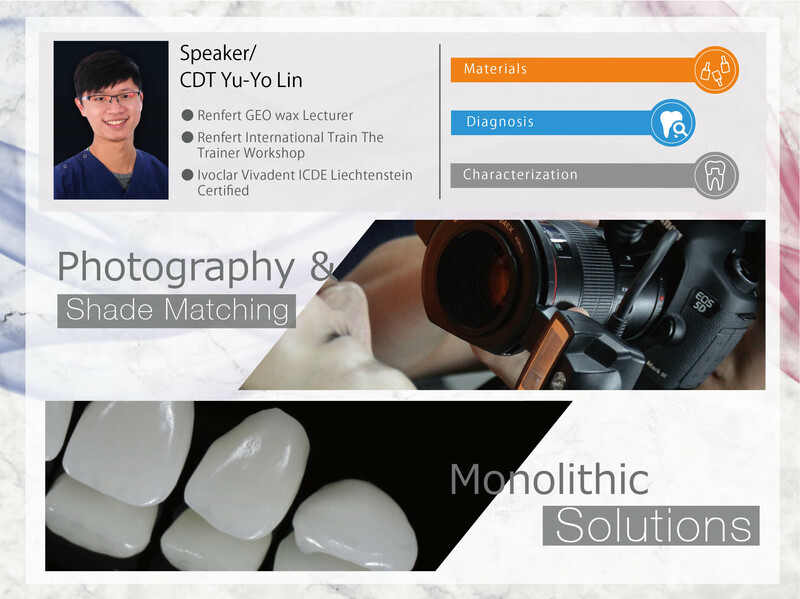 In the first morning of CEREC Ultimate Experience, our special guest, CDT Yu-Yo, Lin, Renfert TTT international lecturer, will share his experience on post-processing of all-ceramic restorations. A natural-looking restoration comes not only from precise post-processing from dental technicians but from correct imaging information acquiring from clinicians. What are correct clinical photography and precise shade matching? Are there any standard procedures? How to perform them in clinical situation? What’s the setup for camera and lighting? How could one clinician communicate esthetic issues with patients? In this section, you will be informed how to provide stable and high-quality information by standard steps before post-processing of restorations. How to create natural profile and texture of restorations by standard post-processing steps? How to perform external staining effectively, satisfying patients’ needs in a short time? Later half of this section will cover the skills for contouring surface characteristics, internal and external staining techniques. You will see with your own eyes that how effectively the standard post-processing could create high-quality and natural esthetic results. 3D printing is all the rage in the industry, but in a digital dental clinic, this technology is still struggling to find its role and value. 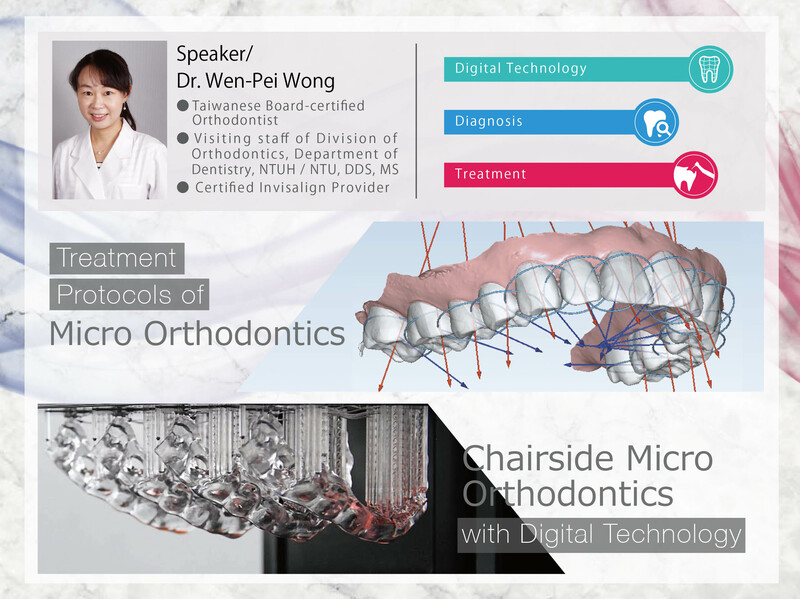 During the first afternoon our orthodontic specialists, Dr. Wen-Pei Wong and Dr. Man-Ru Guo, will unravel the mysteries of additive manufacturing. 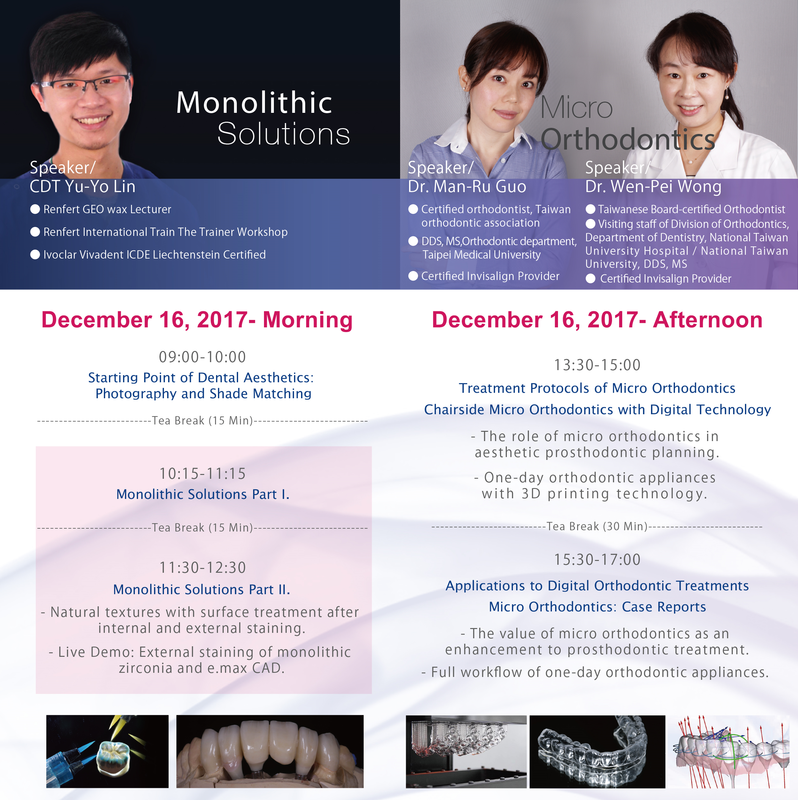 Don’t miss this special discussion a systematic approach to chairside micro-orthodontics and single-day delivery of clear aligners! A common clinical problem preceding prosthodontic planning is the lack of dental space for optimal restoration. In cases where minor teeth movements are indicated and the cost of full-procedure orthodontics is prohibitive, what are the clinician’s options? In the first half of this afternoon seminar, the discussion will be focused on using 3D printing and chairside orthodontic software in conjunction with simple diagnostic methodologies. In true chairside spirit, learn about how orthodontic aligners can be designed, printed, and delivered in the same day. Do I need sophisticated hardware and dedicated teams to begin digital micro-orthodontics? The second half of the afternoon will demonstrate the efficacy of new workflows, and how they can be tightly integrated into a digital dental clinic. 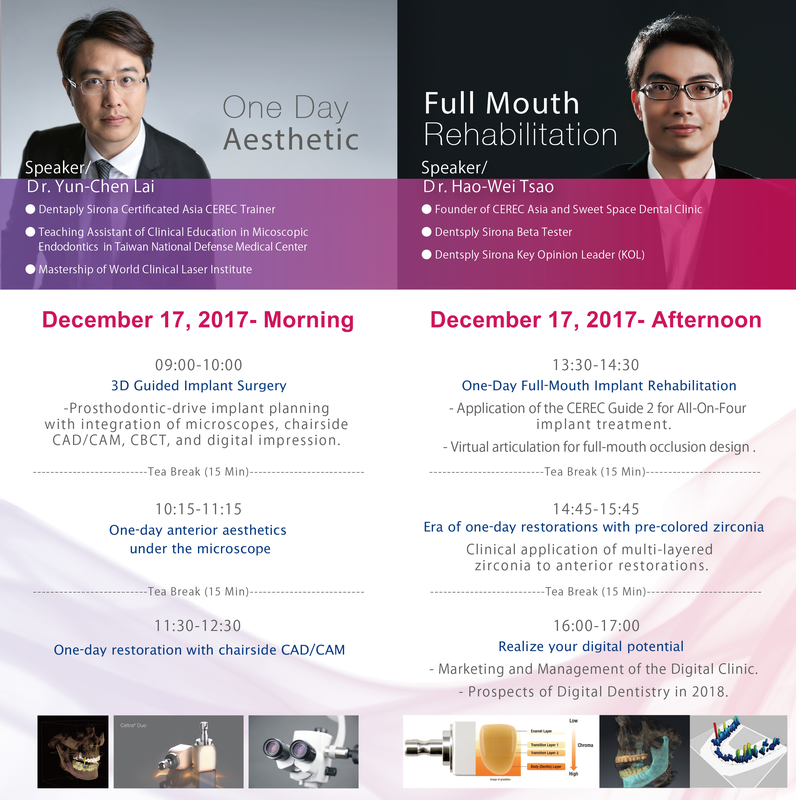 The topics are wide-ranging, including patient communication, CBCT utility, software design, aligner planning, 3D printing and post processing of clear aligners. Want to know the best way to secure routine clinical procedures and collaborate digitally with a dental technician? 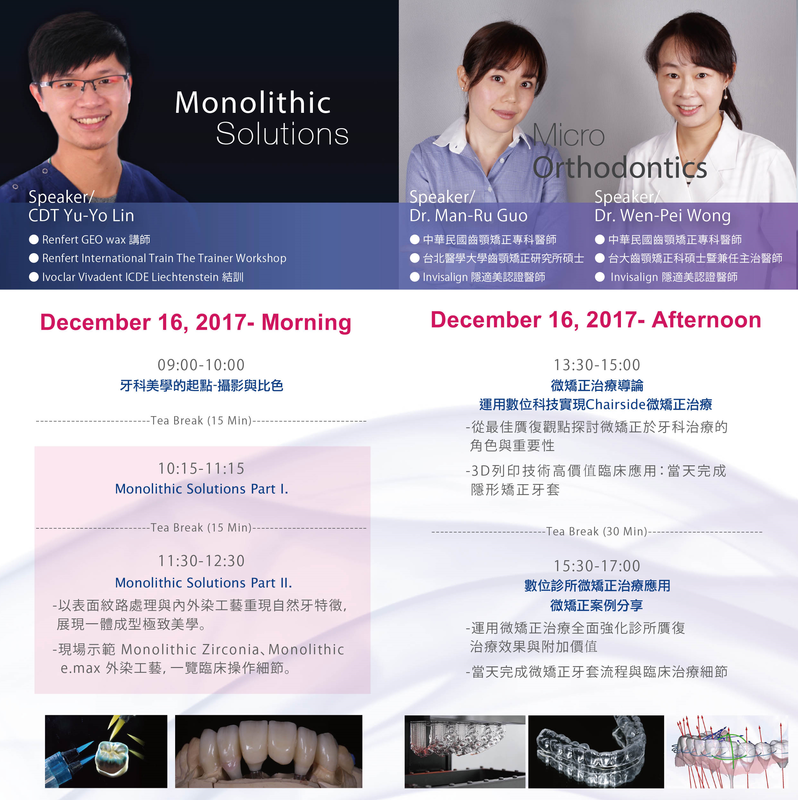 On the second day, join us at the morning lectures from Dr. Yun-Chen Lai, certified Dentsply Sirona CEREC TTT instructor. Get in on the latest know-how on full integration of CBCT, dental microscope, and the newest chairside CAD/CAM materials. 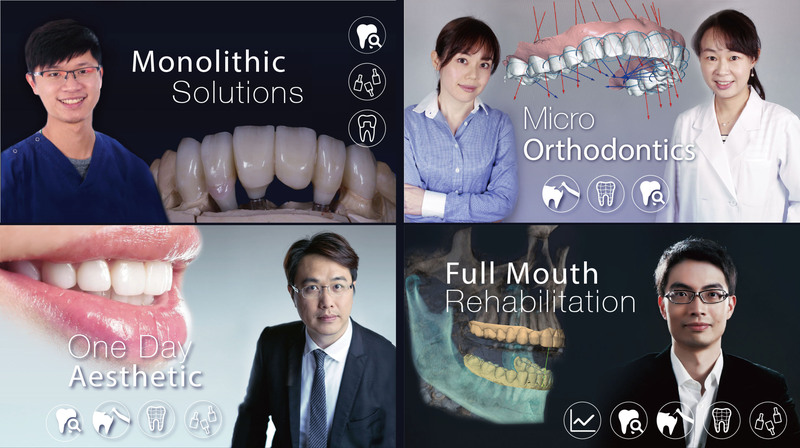 Digitally-guided implantology and single-visit anterior aesthetics are within your reach! The trend of guided implantology is on the rise, but how does it fit in with your clinic? Discover the tried and true procedures from intraoral scanning, digital alignment, 3D implant planning, guide design, to the final clinical application. Knowing is half the battle! CAD/CAM dentistry necessitates better-quality abutment preparations from dentists. One of the best way to take your techniques to the next level is through the use of a dental microscope! And it’s not just for show; better preps results in better aesthetics, function and material integrity, and ultimately benefitting your patient in the long term! Ever wonder how you can optimize both time and aesthetics in the world of one-visit dentistry? Without cutback and layering, material choice is paramount. Discover the secrets to each of the expansive CAD/CAM ceramic systems, including the latest tips on how to achieve beautiful veneers with the CELTRA Duo. 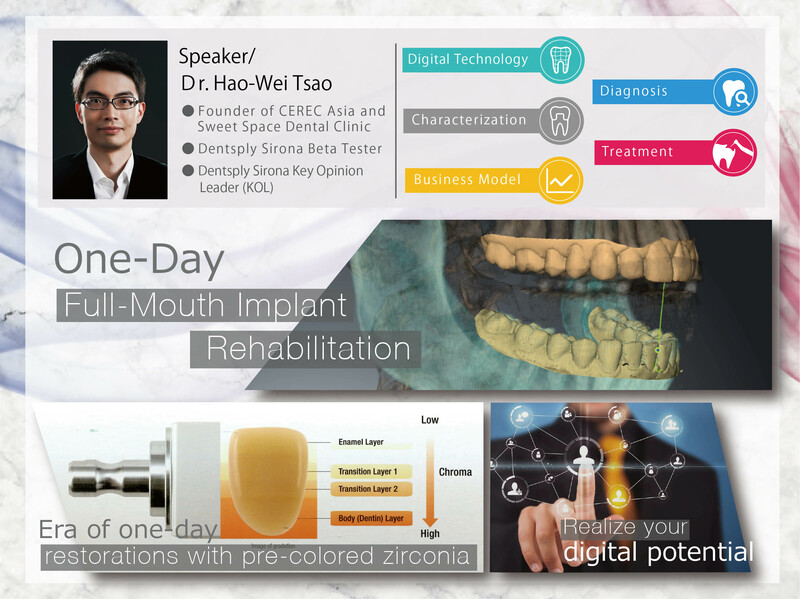 “What will 2018 look like for digital dental clinics?” “In what direction is digital dentistry headed?” In the afternoon of the second day, Dr. Michael Tsao, Chair of Digital Dentistry Association of Taiwan, will share his experiences in the management of digital clinics and treatment protocols. As the frontrunner to chairside dentistry in Taiwan, he will also focus on the future potentials and pitfalls of this field fueled by technology. Full mouth restoration is complicated by the inevitable occlusion and temporomandibular joint considerations, two areas not often associated with digital dentistry. In the afternoon, witness how Dr. Tsao’s team has completely turned this perception on its head, utilizing a diagnostic procedure for full-mouth rehabilitation that is more functional, more efficient, and of course, fully digital! The All-On-Four concept has many advantages for edentulous rehabilitation, but did you know that it can also be performed in a fully-digital workflow? 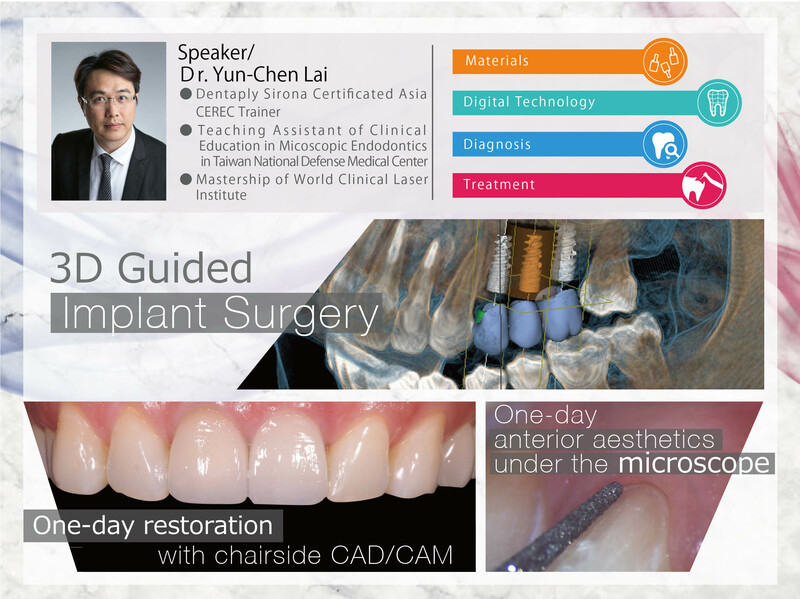 By using CEREC in conjunction with InLab, Dr. Tsao will show you how this is possible! -Aesthetics with STML Zirconia! 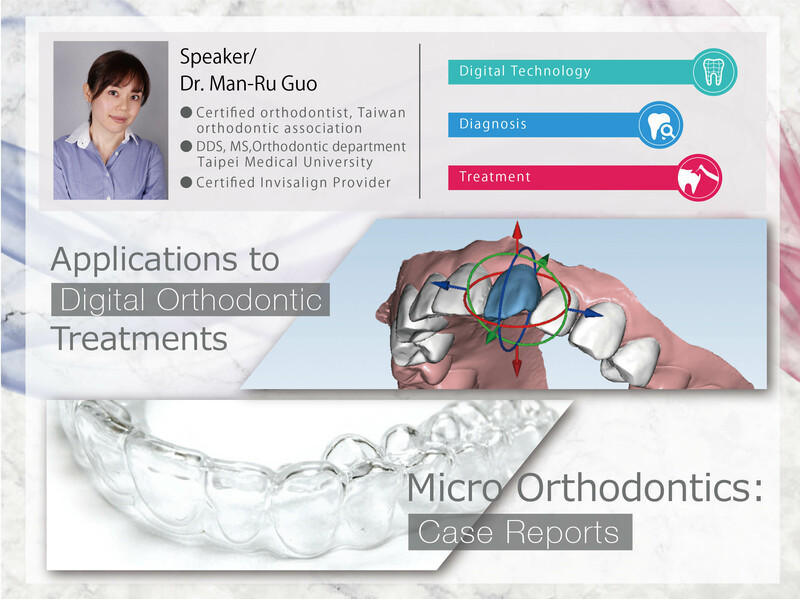 Digital Integration of Orthodontics and New Materials! Zirconium dioxide, a clinically proven ceramic known for its strength, is a popular and useful option in a dentist’s arsenal. 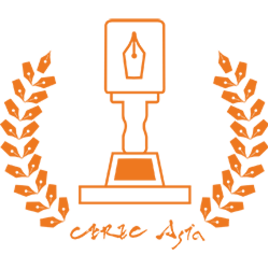 Its monolithic appearance, however, leaves much to be desired. Will everything change now that a new generation of super-translucent multilayered zirconia has arrived? During the event, we will unveil this new challenger to anterior aesthetics combined with orthodontic treatments. This definitely not your everyday full-contour zirconia restoration!